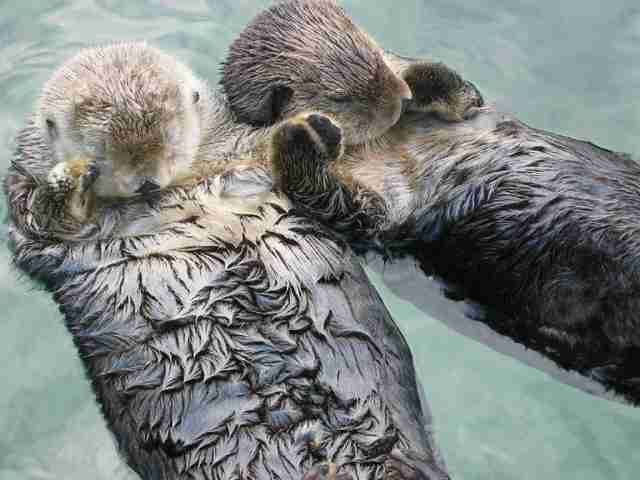 There are many reasons to love sea otters, other than how furry and adorable they inherently are. They can dive hundreds of feet deep. They can use rocks as tools. 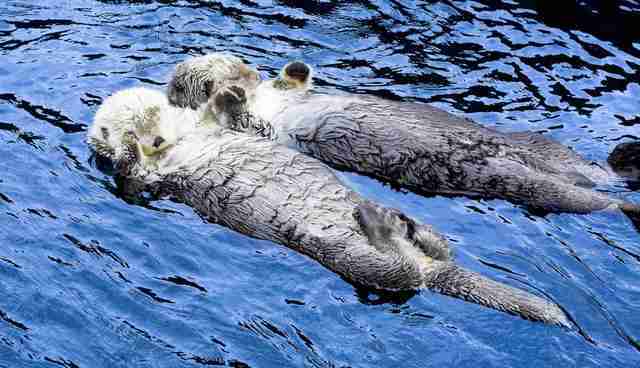 Otter moms devotedly carry their babies with them everywhere. But we just found one more reason to love them: They actually hold hands while they're sleeping so they don't drift apart. Staying together is really that important for the watery weasel. 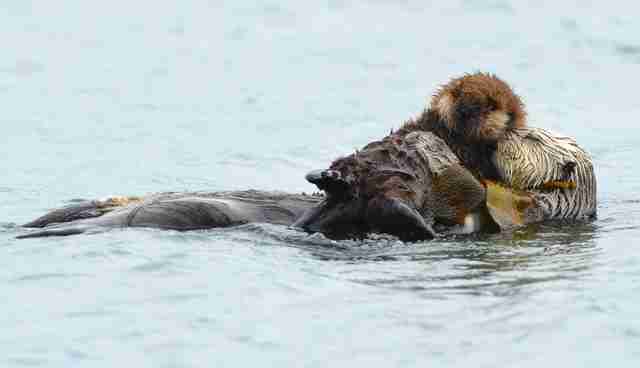 And when a baby sea otter (called a "pup") is too small to hold hands, he rides on his mom. When moms have to go hunting, they wrap their pups in seaweed so they don't float away. It's hard to believe that such a sweet little creature could ever have been hunted nearly to extinction - but in the early 1900s, their numbers were super low (only around 2,000 were left in the world) because of the fur trade. Today, thankfully, there are many more of these amazing creatures on earth - about 106,000 worldwide. But they're still considered an endangered species, with fishing nets and oil spills being some of the major threats to their survival. Click here to learn how you can help these hand-holders.